While Avengers: Infinity War is already a genuine box office hit, crossing the $1 billion mark faster than any film in history last weekend, it's getting another big push from its final international market, China. Avengers: Infinity War has pulled in a whopping $76 million from its first day, accounting for an astronomical 96% of all Chinese box office revenue. That figure alone also represents half of Marvel's biggest opening weekend ever in China, $155.7 million, held by 2015's Avengers: Age of Ultron. By 10 PM on Friday in China, according to Ent Group, Avengers: Infinity War earned approximately $66 million in its first full day, and combined with an estimated $9.3 million from Thursday screenings, its opening day comes in close to $76 million, but no final numbers from Thursday or Friday have been released yet. This huge opening day likely means it will surpass the $155.7 million from Avengers: Age of Ultron for the biggest Chinese opening weekend in Marvel history, which also stands as the fourth highest opening weekend in Chinese history. It's possible that Avengers: Infinity War could have a historic opening weekend in China when all is said and done. The top three opening weekends in Chinese history are 2015's Furious 7 ($182.4 million), last year's The Fate of the Furious ($184.9 million) and this year's local blockbuster Monster Hunt 2 ($187.9 million), and with this massive opening day, it's possible that Avengers: Infinity War can give these movies a run for their money. Just with this single-day total alone, Avengers: Infinity War has become the 15th highest grossing movie of the year in China, just behind the Hollywood blockbuster Jumanji: Welcome to the Jungle, which earned $77.9 million during its entire box office run in the country. 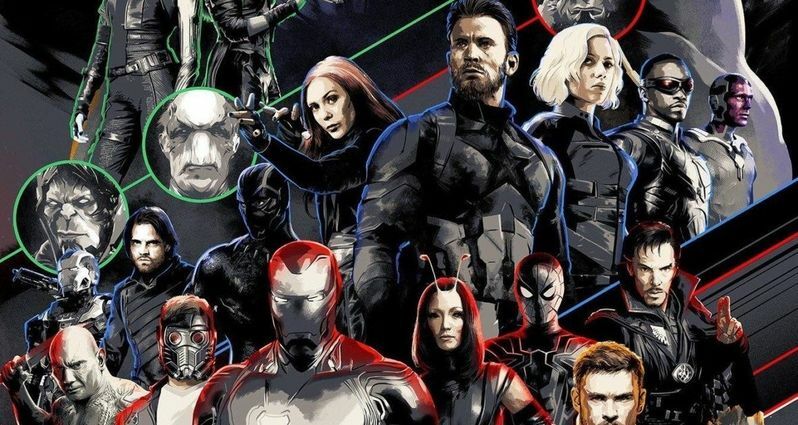 The Marvel Cinematic Universe franchise is already the biggest foreign movie franchise of all time in China, with a combined gross of $1.12 billion. It's far ahead of the $913 million of the Fast & Furious franchise in second place, and the $834 million of the Transformers franchise in third place. A huge opening weekend in China will only help solidify this stance even further. It also has a good chance to replace Ready Player One as the top Hollywood movie in China this year, with the Steven Spielberg adaptation pulling in $217.5 million thus far, the fourth highest-grossing movie of the year so far behind local blockbusters Monster Hunt 2 ($356.3 million), Detective Chinatown 2 ($541.4 million) and Operation Red Sea ($575.8 million). As of now, Avengers: Infinity War is the second highest grossing movie of the year both at the domestic box office ($479.1 million, behind Black Panther's $694 million) and worldwide box office ($1.268 billion), behind Black Panther's $1.339 billion. Avengers: Infinity War heads into its third weekend domestically, going up against the Universal thriller Breaking In and the New Line comedy Life of the Party. Variety broke the news about the Chinese opening day for Avengers: Infinity War.